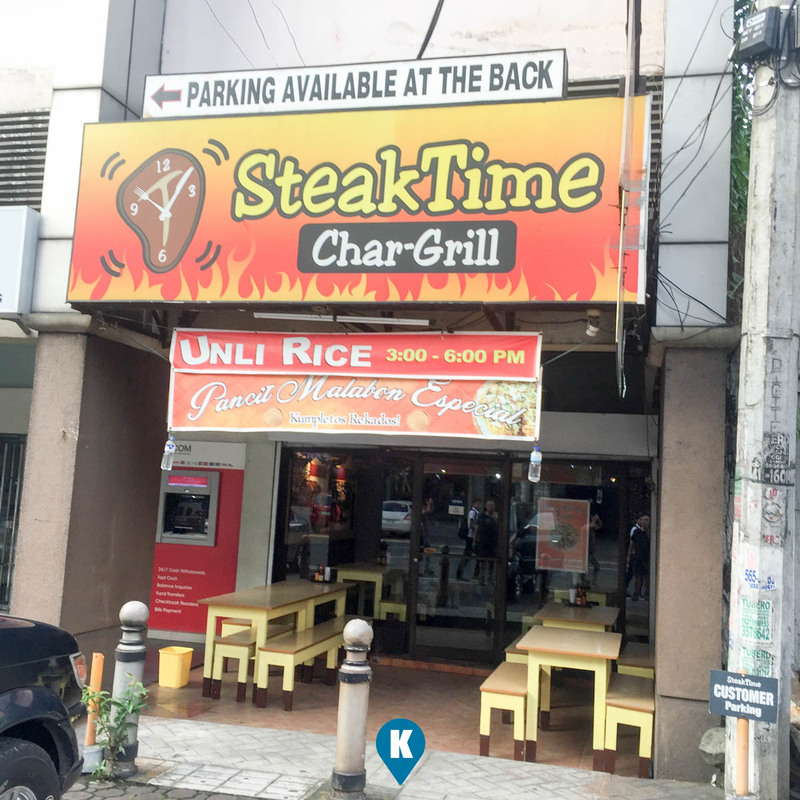 Along the busy and traffic laden Timog Avenue in Quezon City lies this dainty steak house aptly named Steak Time CharGrill. 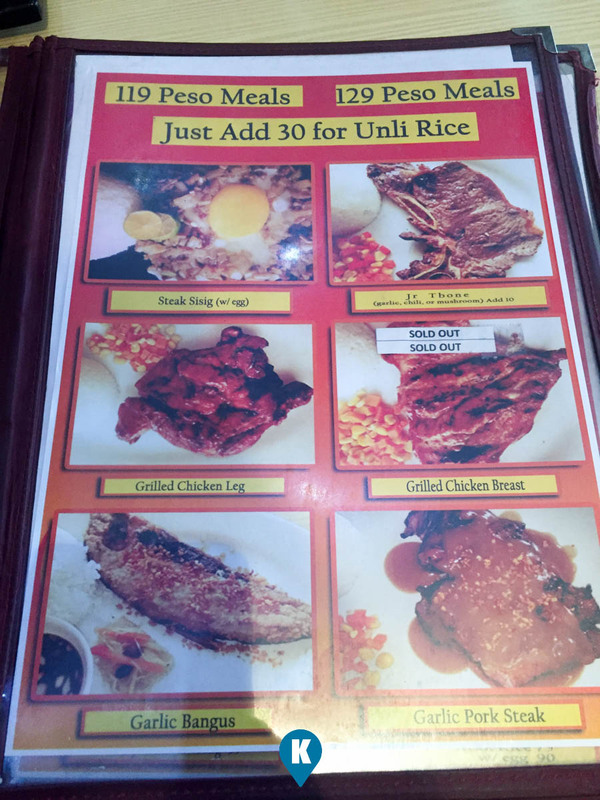 They offer mostly grilled meats and fried dishes. Their food choices is short so ordering here is simple. For our visit here, we ordered the Jr. T Bone Steak costing Php129, which includes rice and vegetables. Between 3pm to 6pm, you can avail of unlimited rice by adding Php30 more. With what I ordered, you don't need to do unli rice. 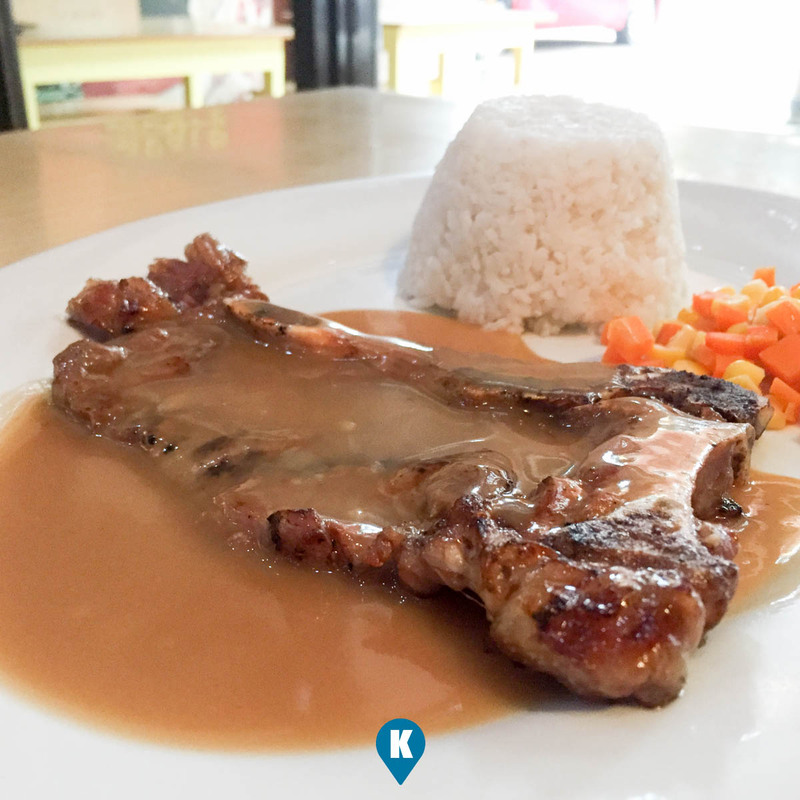 The T Bone serving is so thin, its gone before you know it. Now going to its taste. Gravy is nothing special, it tasted like what I usually do at home. What is special I think is the marinade for the steak. Its a great marinade if you ask me, the steak was tasty. 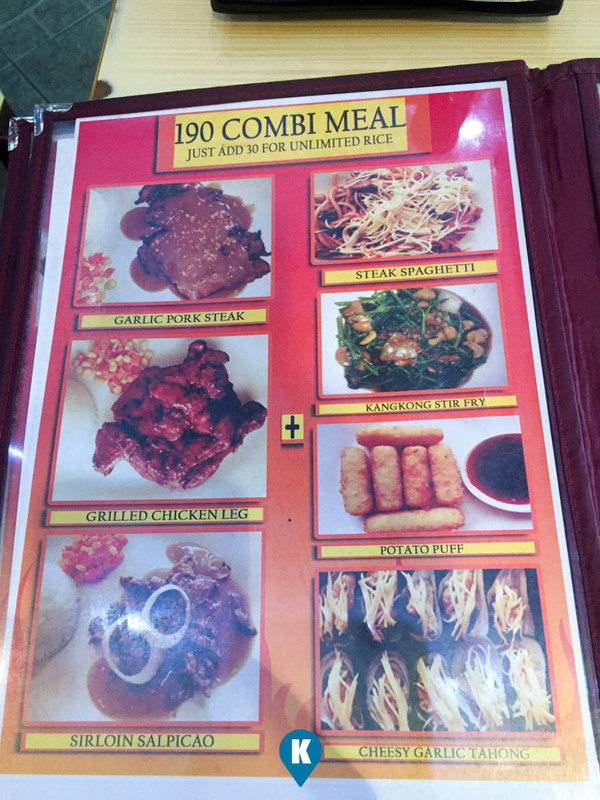 What dampens the experience though is that the pork meat they served was a rubbery. I had a hard time chewing it. I can't tell if its the meat or how they cooked it. Anyway, I hope when you visit and have this, you would have a different experience. The side vegetables were a let down also. First I'm not a fan of corn kernels as I feel they are hard even if you steam or fry them. 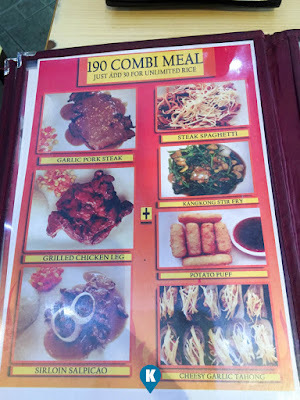 Instead of steamed vegetables, they served these fried. Adding to my already oily steak, it didn't offer a counter balance of sorts. This was second time to eat here and I can say the taste and serving size is more or less the same from the first time i dropped by. 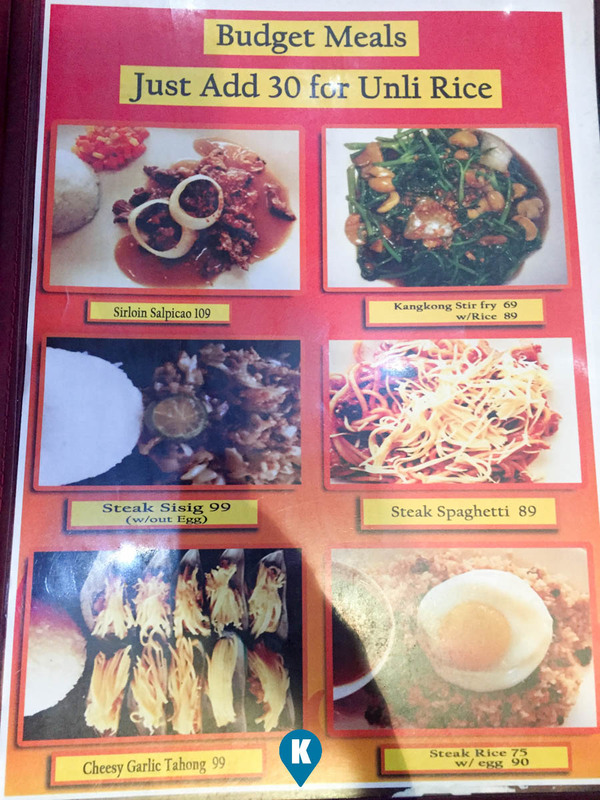 It has been a year in between and they didn't change the menu or change the interiors of the dining area. What changed was the price. 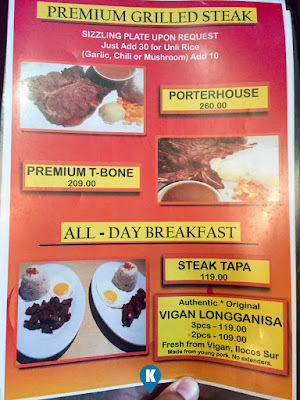 If I remember right, the steak I had was Php99 only. Now its Php129. Buy hey, where can you find a Php129 steak that's bigger than those offered in food courts? Another good thing with this resto is, they have ample parking in the back. Something worth mentioning. Should you like to come on over this place, they are right beside Plaza Ibarra. 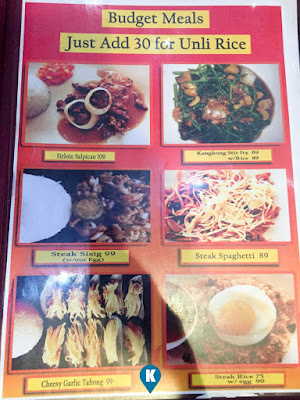 Between EDSA and Timog Circle you will find them. For more information better visit their facebook page here.